Circa 1903. The romantic White Lace Inn is composed of four beautifully restored Victorian houses connected by meandering garden paths. 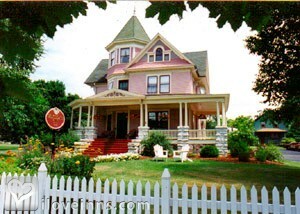 This Sturgeon Bay bed and breakfast has inviting rooms and suites with fine antiques and ornate Victorian or canopy beds. Suites include oversized whirlpool baths, fireplaces, white linens, down comforters and many other amenities. Often the site for romantic anniversary celebrations, a favorite suite has a two-sided fireplace, magnificent walnut Eastlake bed, English country fabrics and a whirlpool. Lemonade or hot chocolate and cookies are offered upon arrival. In the morning, the delectable offerings include items such as cherry apple crisp and creamy rice pudding. Year-round activities invite frequent visits - the Festival of Blossoms, the Lighthouse Walk, Cherry Festival and the Classic Wooden Boat event, for instance. Take museum and gallery strolls, and enjoy the area's great restaurants.Publicity and Awards: Milwaukee Sentinel, Brides, National Geographic Traveler, Wisconsin Trails, Milwaukee, Country Home, Midwest Living.Location: City/Urban, Country, Door County, Green Bay and Wisconsin. Rooms: This property has 18 total guest accommodations with private bath, 15 with fireplaces, 12 with whirlpools, 5 suites and 4 guest houses. Cancellation: A refund of deposit will be made if a cancellation notice is received at least (14) days prior to a reservation. If a later cancellation is necessary, and we can re-rent the reservation, the refund will apply. A $10 fee will apply to all cancellations. Types of meals: Restaurant off Premises, Full Breakfast, Early Coffee/Tea, Snacks/Refreshments and Special dietary needs can be accommodated with advance notice. Amenities In Room: DVD, Bath Amenities, CD Player, Cable TV, Stereo, Air Conditioning, Wireless Internet Access, Fireplace, Ceiling Fans, Reading Lamps, VCR, Television, Iron/Ironing Board, Hot Tub/Spa/Jaccuzi, Hair Dryer, 9 suites with both a fireplace and whirlpool. Amenities On Site: Parlor Games, Phone, Fax, Fireplace, Handicap Access, Limited Handicap Access, Television, VCR, Gift Shop, DVD and Wedding Ceremonies. Business Traveler Amenities: Off-site Dry Cleaning Services, Iron/Ironing Board, Internet Access, Hair Dryer, Flexible Check in/out Times, Flexible Cancellation, FAX On-site, Desk, Daily Newspapers, Television, Wireless Internet Access, Small business meetings and conferences. 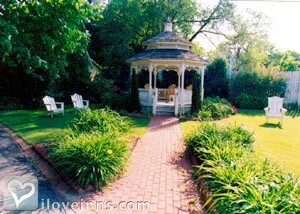 Events Hosted: Romantic Getaways, Honeymoons, Weddings, Family Reunions, Meetings and Seminars. Other Activities: Wineries, Water Sports, Tennis, Sports Events, Major College, Skiing Cross Country, Shopping (Local Crafts), Parks, Museums, Live Theater, Horseback Riding, Hiking, Golf, Fishing, Canoeing/Kayaking, Bicycling, Beaches, Art Galleries, Antiquing, Door County has 316 miles of shoreline, 5 State parks, 17 County parks, Wonderful restaurants, Many shopping experiences, The Green Bay Packers and Lambeau Field (one hour away). Historic Awards: State Register (Granted), National Register (Granted), National Historical Site (Granted), Local Register (Granted) and City Historical Site (Granted). 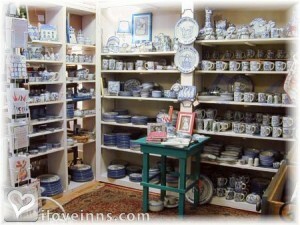 Historic Memberships: National Trust, Local Historical Society and State Historical Society.